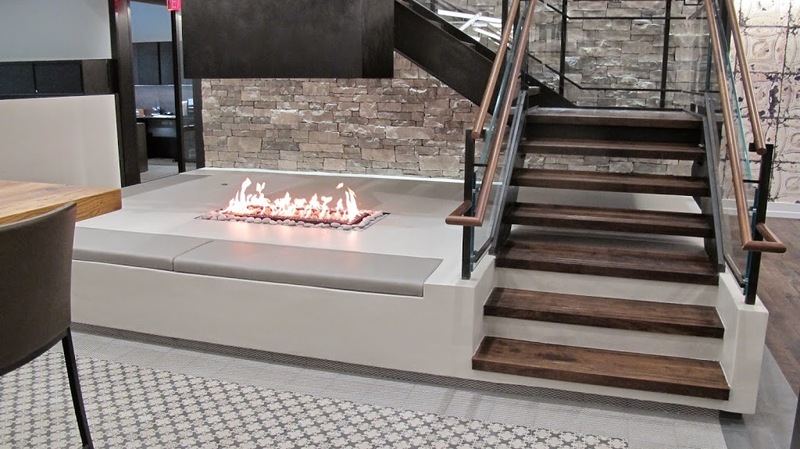 Acucraft Fireplaces partnered with Pavarini North East Construction Co., Inc. and HLW International to create this beautiful Custom 4- Sided Open Gas Fireplace for Atlas Holdings LLC in Greenwich, CT. The customer wanted a custom fireplace with a tall, yellow, lazy flame that would be warm & inviting and fit in a more modern space within their corporate office. The client did an amazing job with the rendering they provided Acucraft (pictured left). Renderings are a great place to start bringing your vision to life. This custom fireplace was designed to be placed in cement and surrounded by seating. The picture below also showcases the openness and height as well as the brilliance of the flame created. with Pavarini Northeast Construction Company, and Babak Ghezelayagh with HLW International for helping design this gorgeous Custom 4-Sided Open Gas Fireplace; we hope to partner again in the future! CONTACT US TODAY TO RECEIVE YOUR COMPLIMENTARY CUSTOM GAS BROCHURE! Click Here to request Your copy of Our Custom Gas Brochure.